Burt's Bees saved my skin after suffering from years of acne. I tried every brand on the market with hope that it would help clear my skin of the pimples and blemishes that never seemed to go away. Proactiv worked at first but dried out my skin after each use. When I stopped using it altogether, my skin brought out worse then before. Neutrogena dried my skin out. Dr. Murad doesn't work if you have severe acne and acne scars left behind. Clean & Clear got rid of the pimples but not the blemishes. What I notice about the brands I tried before was they all contained Benzoyl Peroxide or Salicylic Acid. Then came Burt's Bees. It's 98.9 % natural with key ingredients like Willow Bark and Tea Tree Oil. 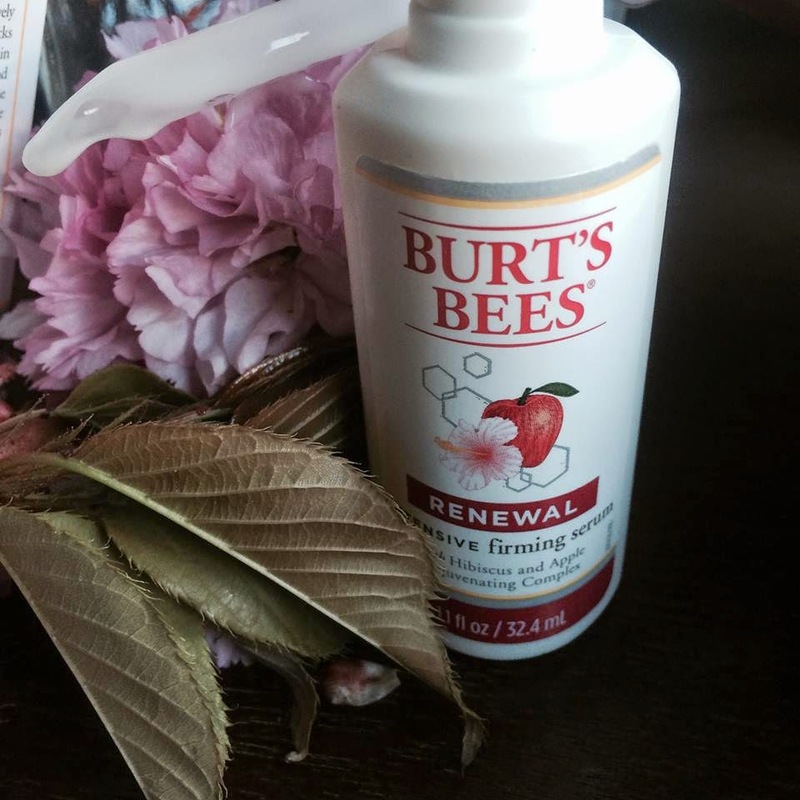 After I tried every product advertised and recommended, I took a leap of faith and decided to try Burt's Bees. Within a week, I noticed a huge difference in my skin. It was getting clearer and the blemishes were finally fading away. 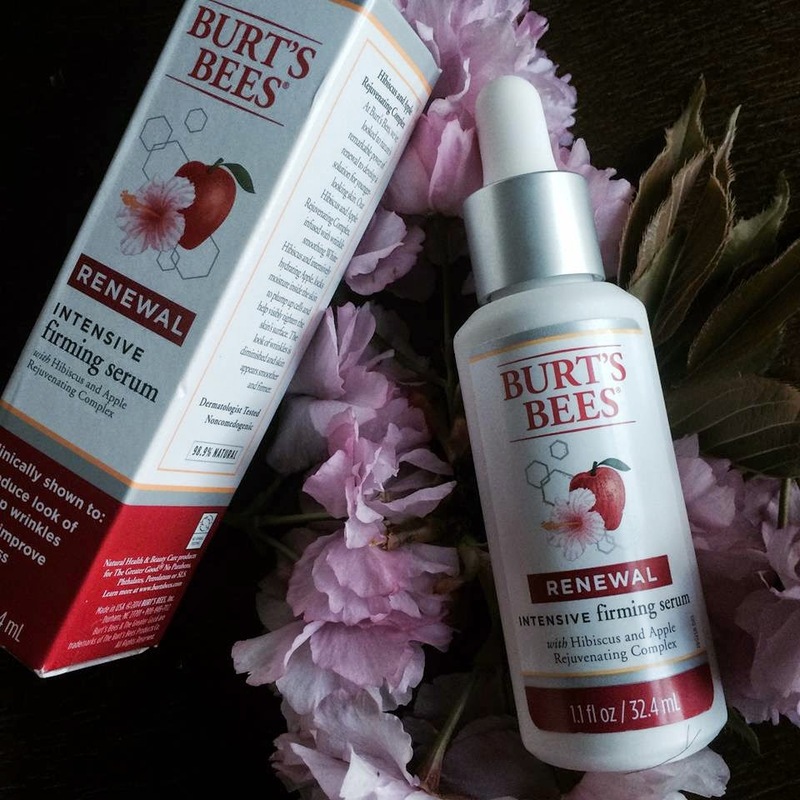 One of my favorites products I've been using for awhile now is Burt's Bees Renewal Intensive Firming Serum. I love the packaging of this product and the key facts demonstrating how it's going to work on your skin. 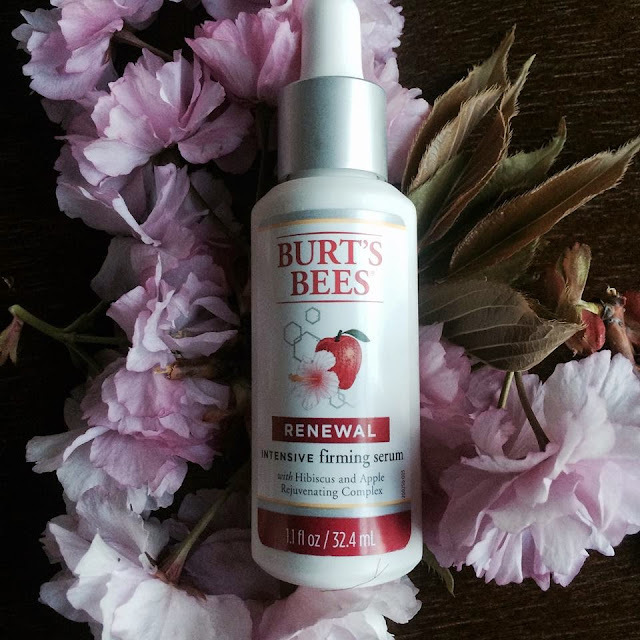 Since I have combination skin with oiliness in the T-Zone area, I use the Renewal Intensive Firming Serum under my eyes and I love the way it smells. My skin is definitely now that I've incorporated this into my skincare routine and I am so happy I found this product.